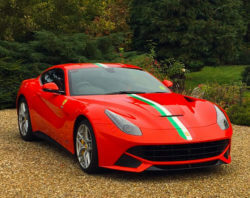 Here are supercarwedding.co.uk we are passionate about providing our customers with some of the best and most exotic supercars for wedding hire in the North of the UK. We aim to always have a great range of supercars available to help fulfil every Grooms dream! We do this by inviting the owners of only the best examples of the supercars to feature on our website and provide you with the best supercar wedding experience possible. Each supercar on the site is owned, loved and cherished by their enthusiastic owners. Each and everyone of them loves to have the opportunity to share their own pride and joy in making your day special! It is worth noting that not all cars are available throughout the whole of the year. Some of these cars are very rare and valuable and not always used on wet salted winter roads here in the UK, but please ask and we will always do our very best to ensure that the supercar you want is available on your wedding day. Before you book, we thought you might like to know a little more about what to expect from our service on your big day! When you have chosen the car that is right for you and we have confirmed its availability, the car owner will contact you to double check the details of the pick up and drop off locations and times etc. Each driver will make sure that they know exactly where these locations are and may even do a dry run in another car just to make sure that they know the route and any diversions or unsuitable roads that may need avoiding. If the car you have booked is local, then there should be no problem going along to meet the owner/chauffeur and have a look at the car. This way you will know exactly what to expect and will no doubt start getting even more excited. On your wedding day, the car will arrive promptly looking clean and polished with a smartly dressed chauffeur wearing a suit and tie. Don’t think of this as just a fancy taxi to drive you there. This is the start of your day and we are there to make you feel special and relaxed. You will be greeted with smiles and courtesy and your driver will treat you like royalty! He will open the doors and help you in and out of the car if you need assistance and always make sure that there is loads of opportunity to get those all important photos of you sat in or stood by the car. A lot of the cars can get booked-up months in advance, especially for summer weddings, so we recommend booking the car you want early to avoid any disappointment. 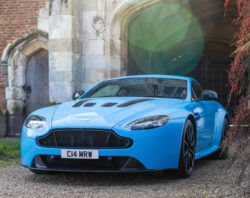 As you may expect, Supercar owners don’t keep their cars for ever, so we will always look to find you a replacement should your car be removed from the site, and we will always keep you informed if this is likely to be the case. We do have access to owners of other supercars that aren’t always listed on the website, so a replacement has so far never been an issue!